Lately it seems like all of our favorite images from our favorite brands and shops—including Botanica Workshop, Vere Verto, Highlow Jewelry, and Nonna—are the brainchild of Kourtney Jackson Smith. The art director and photographer, who currently resides in northeast LA with her husband (and husky, Indigo), somehow manages to perfectly embody the vibe of her stylish clients, while also sticking to the soft yet minimalist aesthetic that has become her calling card. The worlds she creates feel accessible and tactile, not to mention totally inviting, which has made us wonder what a day spent with Kourtney would be like. Thankfully, she let photographer Molly Haas follow her around for an afternoon off work, to show us firsthand how she stays inspired and recharged at home and a few favorite nearby spots. "It's important to me that my home is a place of ease, comfort, and rest. My work life is focused on controlling aesthetics, so it's nice to allow my home to breathe a little and naturally take shape. I'm not really interested in overly designed or contrived spaces. My husband and I often recharge individually by freeform art-making, so there are musical instruments and painting and sculpting materials often accessible. Books are another important thing to us, so they tend to be left out and ready." "Read Books is a humble spot I like to walk to for a quick cultural fix. Although it is only a single room, I'm realizing now that I've never walked farther than the art book section. One time, I found a gorgeous chartreuse book on Gorky published by MOMA in '62 that had been previously owned by Telly Savalas. I will make a point to walk farther than that bookshelf next time I'm there." "Cookbook feels a bit like Disneyland for a person like me, weary of the ways food is produced in America and romantic about local and farm fresh ingredients. It is probably one of my favorite weekly rituals." 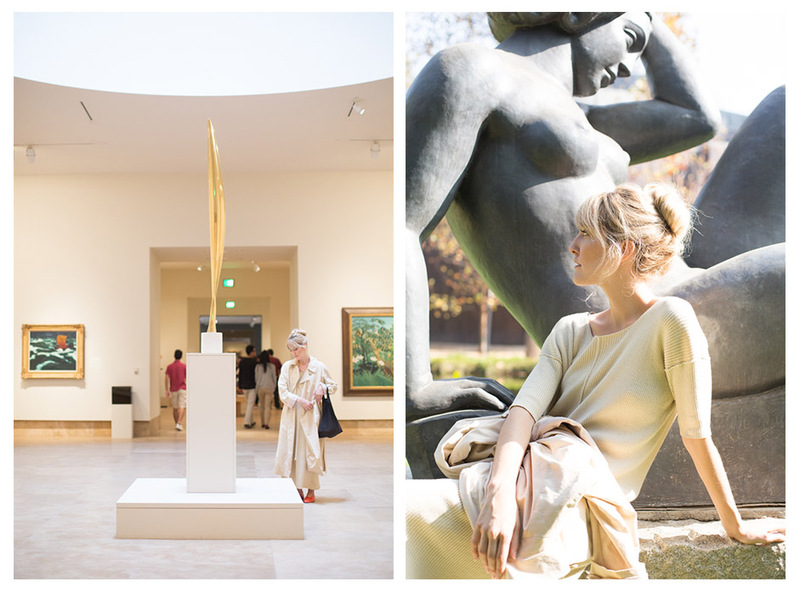 "I've been spending quiet afternoons, often alone, at the Norton Simon since I moved to Los Angeles in 2013. It almost feels like an extension home. While ephemeral imagery and emergent art often crowd my daily vision, I love coming back to the their modern art wing as if visiting old friends. 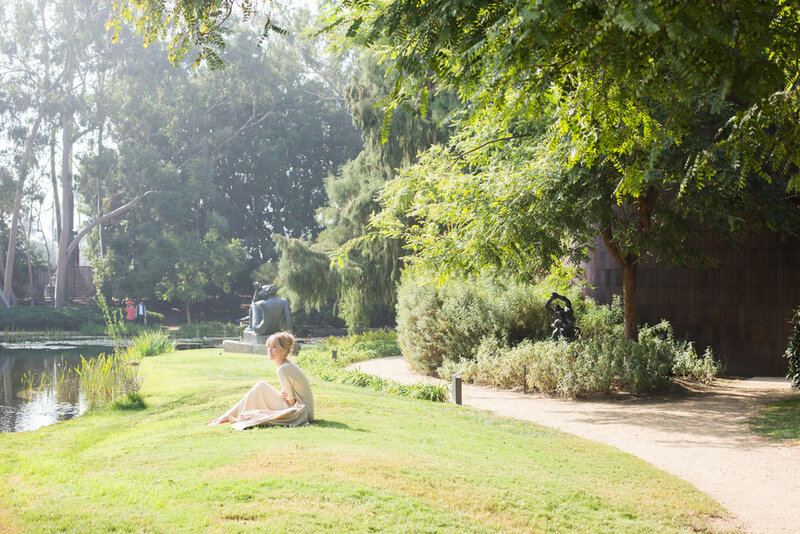 The sculpture garden is one of my favorite places to read, process, and remember what nature is like."